Kevin Mitchell has issued a stark warning to Tommy Coyle: allow Michael Katsidis to let his hands go and he could knock you out. Coyle and Katsidis clash in a mouth-watering tussle for Coyle’s IBF International Lightweight crown at the Ice Arena in Hull, live on Sky Sports on Saturday night (October 25) and Mitchell will be a keen observer. The Londoner met the Aussie in May 2010 for the WBO Interim World title with Katsidis swarming over Mitchell and stopping him inside three rounds at Upton Park. Katsidis went on to tackle Juan Manuel Marquez and Robert Guerrero in World title bouts then returned to London to challenge Ricky Burns – and Mitchell says that ‘The Great’ still has plenty of ammunition to derail Coyle’s career. 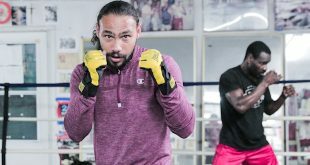 “I don’t think Michael is what he was when he fought me but if you stand in front of him and let him let his hands go, he can do a job and he could knock Tommy out,” said Mitchell. 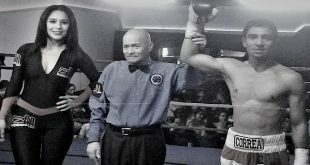 “Since he boxed me he has proved he can mix it very well at World level. He has had many wars but I can see him getting an early finish if Coyle isn’t sensible. I think it will be another war. If Tommy does what he normally does then I think he could get knocked out in the first four or five rounds. “If Michael wins, it will be because Tommy stands his ground and walks onto one of Michael’s dangerous body shots or head shots. Once Michael lands those shots and knows that he has hurt you, he isn’t one of those fighters like Brizuela who couldn’t capitalise – Michael will finish the job. “If Tommy uses his head and uses plenty of foot movement, uses the ring well, keeps out of his way and keeps it to strict boxing, keeps on his toes, hands nice and high and be aware, then I think Coyle can get the job done on points. I think if he stands there and tries to have a go at him then I think you’ll find Coyle walks on to one and he’ll go over. “Coyle will have worked on that, 100 per cent. This game is all about winning and what Coyle has to do is stick to boxing, don’t worry about entertainment value, just go and get the win and do what you have to. Stick to the basics, stick to the jabs, the one-twos down the middle, keep moving and go from there. 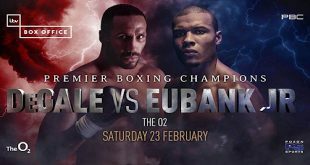 Coyle’s clash with Katsidis is part of a great line up of action in Hull, where Luke Campbell MBE clashes with Brizuela, who returns to the scene of his February war with Coyle. 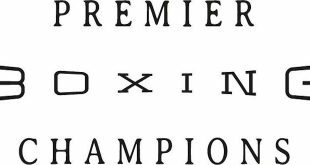 Gavin McDonnell steps into deep international waters against former World title challenger Vusi Malinga, Samir Mouniemne continues on the path back to title contention and the show also sees a showcase of local talent with Nathon Smith, Tom Knight, Charlie Payton and Connor Seymour plus Liverpool’s Robbie Davies Jnr.